What is the benefit of tracking your menu items by order quantity? It is always makes you feel good to see that you have sold a large quantity. Maybe it is even better to understand the true value of your menu items by best contribution to your profit! Order tracking and how busy alone is not enough to maximise your business success; tryMenu Engineering. Your friends at @OrdaMia have developed a simple calculator to give you a glimpse of what can be achieved by analysing on 1 page, your products, value and actual performance. All of us managing a business are so busy these days, and have little time spare to check performance; akin to having a qualified mechanic service your car. None of us do this, so why not get your business serviced? Cafes, restaurants, bars will benefit from some menu engineering. Some basics are required to complete your business service. List of menu items with cost price and quantity sold in 1 month is all you have to supply. 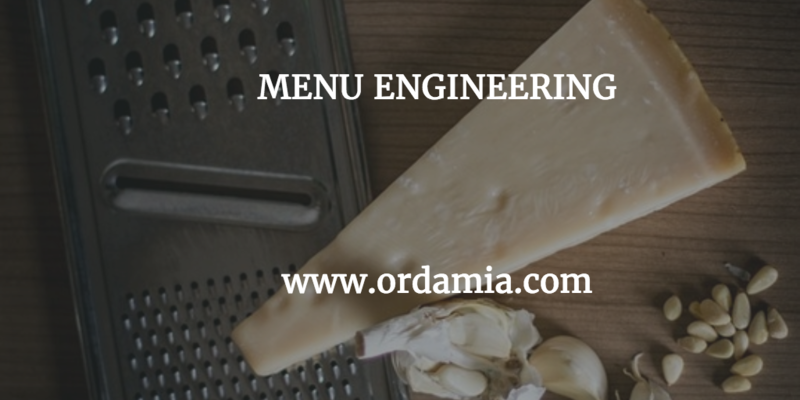 Leave the rest to the clever Menu Engineering tool your friends @OrdaMia have developed. Voila, your results and resulting inspiring data is right there in front of you. Act in the knowledge and take guess work out of maximising your menu. After this analysis you can work out how to improve your profit and look at ways to increase revenue and improve consumer service. Maybe it is as simple as adding or removing menu items or even direct target marketing particular segments of your local community. Sometimes the obvious is right there in front of us, yet we are so busy dealing with the must do’s, that we miss out on an important task. So please take your opportunity and take a Menu Engineering test and see for yourself interesting results and improve your profit. Soup – Is it a Starter, a Snack, a Meal? What is your Favourite?